This luxury stainless steel shower head is designed for ceiling mounting. With its cubic styling, this large square shower head has had the stainless brushed, giving a nice great design alternative to the usual chrome fittings. 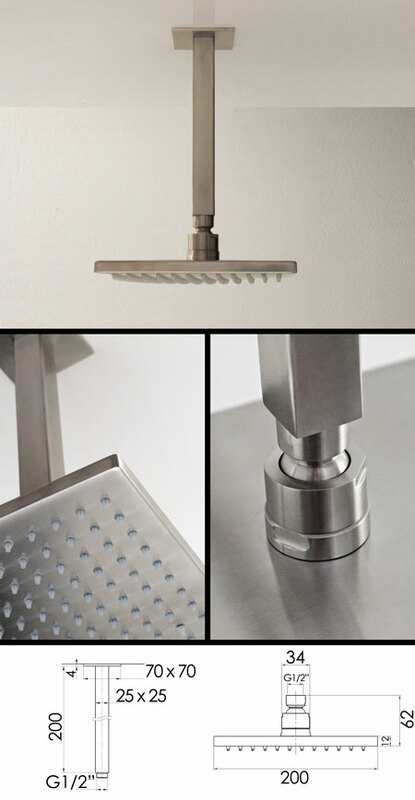 * Square ceiling shower head. * Minimum 1 bar pressure required.